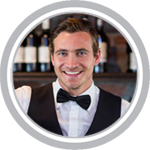 Louisiana alcohol seller-server safety training ensures that sellers and servers of alcohol understand state and local liquor laws and serve alcoholic beverages responsibly. An alcohol seller-server training program can also significantly reduce the risk and liability associated with alcohol service. 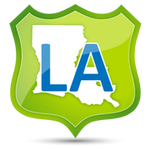 This responsible vendor training is specifically approved for Louisiana. Get your LA Bar Card by completing the training and passing the exam. According to Louisiana law “any employee of a vendor who is authorized to sell or serve alcoholic beverages or tobacco products in the normal course of his or her employment or deals with customers who purchase or consume alcoholic beverages or tobacco products” must attend an RV Class and obtain an RV Server Permit within 45 days of their hire date. What is a Louisiana Bar Card? How Do You Get It? Before you can serve or sell alcohol in the state of Louisiana, all employees and vendors are required to complete the Responsible Vendor class and acquire the RV Server Permit, also known as LA Bar Card. How Do You Get Louisiana Bar Card? The Louisiana Office of Alcohol and Tobacco Control - Responsible Vendor Program (RVP) is responsible for the control over the importation, distribution, sale, and consumption of alcoholic beverages, which applies to all retailers, suppliers, and wholesalers who are licensed to manufacture, sell, serve, transport, or store liquor in the State of Louisiana. We offer online Alcohol Safety Training in Louisiana for: New Orleans, Baton Rouge, Shreveport, Metairie, Lafayette, Lake Charles, Kenner, Bossier City, Monroe, Alexandria, Houma, Marrero, New Iberia, Laplace, Prairieville, Central, and many more!